When you’re picking yarn colors for a handwoven project, how do you know whether the colors will work before you buy? It’s hard to know whether the colors will work together, especially if you’re buying online and all you’ve got is a photo. And mistakes can be expensive! 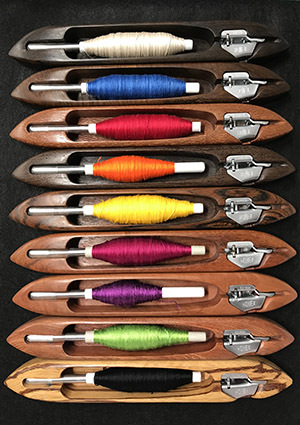 This blog post will teach you how to pick colors that will show off the patterns in your draft. 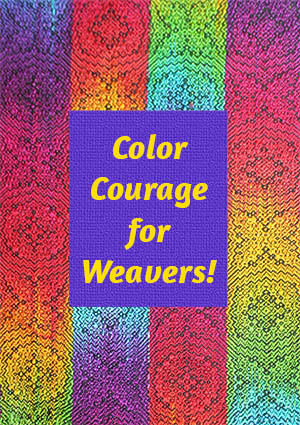 This mini-course is an excerpt from my upcoming online course Color Courage for Weavers, which I’ll be releasing in just a few weeks. So far the feedback on it has been overwhelmingly positive! How do you choose colors and weave structures to create “mood” in handwoven fabric? Imagine for a moment that you’re looking at a project in a weaving magazine. You like the overall design, but you don’t like the colors! You want to make something more colorful – something with cheerful pizzazz. Or maybe you want a more subtle version – elegant and understated. 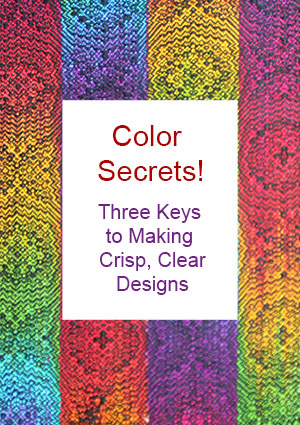 This blog post will help you choose colors and weave structures to get the results you want. Sometimes creating handwoven fabrics feels like wrestling mischievous imps. 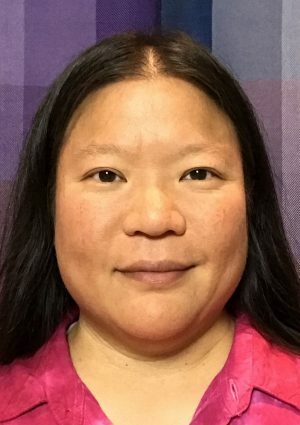 A project that looks gorgeous in the initial sketch, or in a weaving software simulation, turns into a muddy mess when woven. A garment that looked great while you were sewing it blurs into shapelessness from across the room. Often, it’s because your design is either too large or too small to look attractive in the context of the finished piece. So your colors blur together or become too bold, and your piece just doesn’t look right. Here’s how to design a piece at the right scale, whether it’s meant to be seen from six inches or sixty feet away.